Eliot and Neko are back on the podcast for our World Champs post-race show. 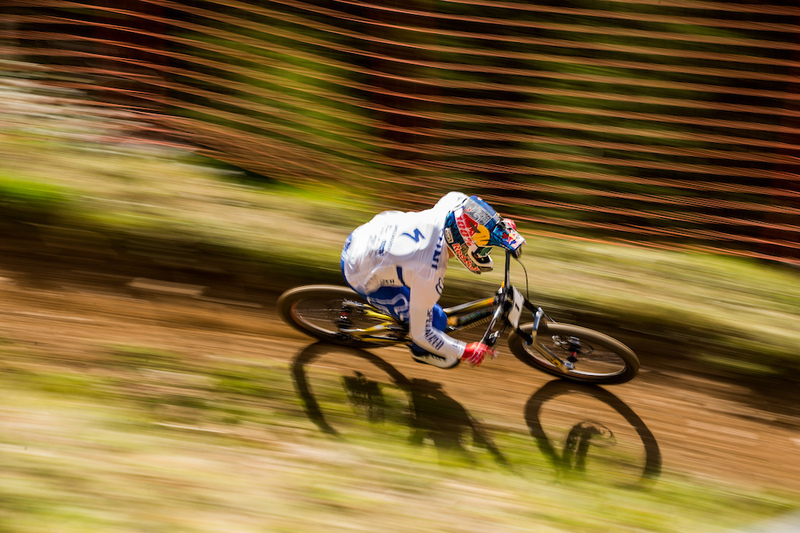 The riders threw the dice in Lenzerheide and we crowned 4 World Champions who are at the very top of their game. It was a thrilling race to watch, and great to sit down with Eliot and Neko to get some insight into what it's like to race at World Champs, the challenges of the track itself, and what it takes to win. We'd love to do more of these post-race shows in 2019, so please let us know what sort of things you'd like to hear about in the comments below. Just want to say a massive thanks to Eliot and Neko for getting involved in this, it's so great that they are willing to share all this insight with everyone, and I really enjoy recording with them. Thanks Dudes!! Really cool to hear experienced pros talk in detail about racing/ the track/ other riders in more than just a 2 minute post race interview. Please keep these coming next season! @delawhere: I'll do my best for ya! glad you like it. @downtimepodcast love the show, great to hear racers thoughts on the course. Just one bit of feedback- the intro/outro music you use always feels really loud, ‘in your face’ and out of place in the show after such a chill conversation. Any chance you can turn down the levels or change the music? hey @daveg2, a good friend of mine made that for me, so don't want to upset him, haha! It is at the same level as the chat, but I get what you mean. I'll see what can be done. Does it feel ok at the start? Just jarring at the end? love listening to these. Keep up the good work! Thanks @downhilleruk, I'm loving making them! These make long road trips so much more enjoyable as well as work days in the shop. Thanks for all the great work. Recent listener here after joe, rach’s Mechanic. Really enjoying them. welcome onboard @wilson360, really glad you're enjoying them. You've got a big back catalogue of episodes to work your way through! Keep up the good work @downtimepodcast we need more of these in the off-season!